BULLION - Bullion counter may trade on flat to negative note Gold prices eased on Wednesday, remaining near a four-month low touched in the previous session as the dollar strengthened and Asian shares rose after the Nasdaq and S&P 500 indexes marked record closing highs. The dollar hovered near a 22-month peak against its peers on Wednesday, after strong U.S. housing data further eased concerns of a slowdown in the world biggest economy. Sales of new U.S. single-family homes rose to a near 1-1/2-year high in March, boosted by lower mortgage rates and house prices. After China economy defied expectations that it would slow further in January-March, U.S. growth is expected to be 2.1 percent in the same period, although the range of analysts estimates was wider than usual at 1.0 to 2.9 percent. SPDR Gold Trust, the world largest gold-backed exchange-traded fund, said its holdings fell 0.27 percent to 749.63 tonnes on Tuesday from 751.68 tonnes on Monday. ENERGY- Crude oil may witness some profit booking at higher levels as oil prices inched lower on Wednesday on signs that global markets remain adequately supplied despite a jump to 2019 highs this week on Washington push for tighter sanctions against Iran. Crude futures rose to 2019 highs earlier in the week after the United States said on Monday it would end all exemptions for sanctions against Iran, demanding countries halt oil imports from Tehran from May or face punitive action from Washington. The International Energy Agency (IEA), a watchdog for oil consuming countries, said in a statement on Tuesday that markets are adequately suppliedand that global spare production capacity remains at comfortable levels. The biggest source of new oil supply comes from the United States, where crude oil production EIA has already risen by more than 2 million barrels per day (bpd) since early 2018 to a record of more than 12 million bpd early this year, making America the world biggest oil producer ahead of Russia and Saudi Arabia. U.S. natural gas futures dipped on Tuesday to their lowest level in nearly three years as higher production and a drop in demand weighed on prices. BASE METAL - Base metals prices may trade with sideways to positive bias. Most industrial metals on the London Metal Exchange rose on Wednesday, after a top White House economic adviser said the United States and China were making progress in trade talks. The global world refined copper market showed an 8,000 tonne deficit in January, compared with an 11,000 tonne surplus in December, the International Copper Study Group (ICSG) said in its latest monthly bulletin. Global primary aluminium output rose to 5.414 million tonnes in March from a revised 4.916 million tonnes in February, data from the International Aluminium Institute (IAI) showed on Tuesday. BULLION - Bullion counter may open on positive note as gold prices edged up on Tuesday as Washington moved to choke off Iran's oil revenues, prompting safe haven buying, but gains were capped by a strong dollar and Asian shares hovering near a nine-month peak. The United States on Monday demanded that buyers of Iranian oil stop purchases by May 1 or face sanctions, a move to choke off Tehran's oil revenues which sent crude prices to six-month highs on fears of a potential supply crunch. Russia raised its gold holdings by 19.4 tonnes in March, data from the International Monetary Fund showed on Monday. U.S. home sales fell more than expected in March as rising demand stoked by declining mortgage rates and slowing house price inflation continued to be frustrated by a lack of properties, especially in the lower-priced segment of the market, data showed on Monday. ENERGY- Crude oil may extend recent gains as oil prices hovered near 2019 peaks in early trading on Tuesday after Washington abruptly moved to end all Iran sanctions waivers by May, pressuring importers to stop buying from Tehran. The United States on Monday demanded that buyers of Iranian oil stop purchases by May 1 or face sanctions, ending six months of waivers which allowed Iran eight biggest buyers, most of them in Asia, to continue buying limited volumes. Before the reimposition of sanctions last year, Iran was the fourth-largest producer among the Organization of the Petroleum Exporting Countries (OPEC) at almost 3 million barrels per day (bpd), but April exports have shrunk well below 1 million bpd, according to ship tracking and analyst data in Refinitiv. Saudi Arabia is the world biggest exporter of crude oil and OPEC de-facto leader. The group is set to meet in June to discuss its output policy. U.S. natural gas futures settled higher on Monday as warmer-than-normal weather boosted cooling demand, ending six days of declines. BASE METAL - Base metals prices may trade with firm bias. Manufacturers in China facing trade barriers are deploying an array of moves to try to keep foreign customers giving discounts, tapping tax breaks, trimming workforces and, occasionally, shifting production overseas to skirt tariffs. Nickel prices fell on Tuesday, with new data showing a global nickel deficit had narrowed at the end of February, while investors worried that China may ease its stimulus measures. The global nickel market deficit narrowed to 2,000 tonnes in February from a revised deficit of 3,700 tonnes in January, and was much smaller than a 7,200-tonne deficit in the same month last year, the International Nickel Study Group said on Monday. Sentiment was also weighed down by worries that China will ease up on simulative policies after some signs of stabilization in its economy, pulling Chinese stocks down in their worst session in nearly four weeks on Monday. PC Jeweller Ltd is currently trading at Rs111.50, up by Rs15.75 or 16.45% from its previous close of Rs95.75 on the BSE. The scrip opened at Rs96.15 and has touched a high and low of Rs114.80 and Rs95.65 respectively. Shares of Lupin were trading 2% higher on Friday after the company launched Testosterone Gel, 1.62% (20.25 mg/1.25 g pump actuation), having received approval from the United States Food and Drug Administration (FDA). "Lupin's Testosterone Gel, 1.62% (20.25 mg/1.25 g pump actuation), is the generic equivalent of AbbVie Inc's AndroGel, 1.62%," the company said in a press note to the exchanges on Friday. It is indicated for replacement therapy in males for conditions associated with a deficiency or absence of endogenous testosterone- Primary hypogonadism (congenital or acquired) and Hypogonadotropic hypogonadism (congenital or acquired). Maruti Suzuki said in the press note on Thursday that it has hiked the price of its Alto K10 model across India following its upgrade with safety features in compliance with the "AIS-145 Safety Norms". The price revision will be effective from April 11, 2019. "Alto K10 is now compliant with AIS-145 Safety Norms. This will result in a price increase in all variants of Alto K10 models. Depending on features introduced across variants, the ex-showroom price in Delhi and NCR region will vary from Rs3,65,843 to Rs4,44,777." Sun Pharma group senior executive, Abhay Arvind Gandhi, and his wife Kiran have settled with Securities and Exchange Board of India (SEBI) a case related to insider trading in shares of Ranbaxy Laboratories in 2014, a PTI report said. As per the report, both have paid a total of ~Rs70 lakh as settlement charges. Gandhi and Kiran traded in 454 shares and 6,770 shares, respectively, during the Unpublished Price Sensitive Information (UPSI) period. Shares of SpiceJet jumped in the morning trade on the BSE as the aviation company will induct 16 Boeing 737-800 NG aircrafts on dry lease and has applied to the Directorate General of Civil Aviation (DGCA) for a No Objection Certificate (NOC) to import the aircraft. The new inductions will not just bring down flight cancellations to nil but also help in SpiceJet aggressive international and domestic expansion plans. Subject to regulatory approvals, the aircraft would begin joining SpiceJet fleet in the next ten days. Shares of Lemon Tree Hotels were trading higher on Friday trade after global firm CLSA maintained a buy rating on the stock. 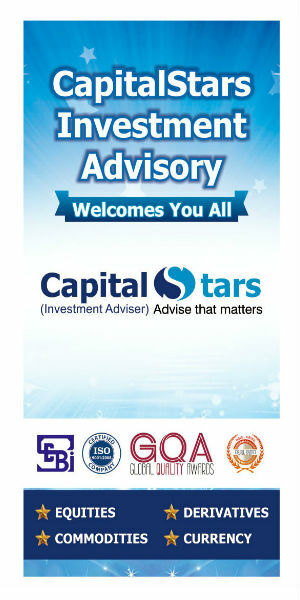 According to the media reports, the global brokerage firm CLSA has maintained a buy rating on the stock in a recent report, saying Key acquisition, new management contract opportunities to help gain scale. The brokerage firm has given a price target of Rs89 per share. It said the company is gaining scale with the recently announced intention to acquire Keys hotels, which will add 26% to owned room count and 55% to managed room count, the report added. BULLION - Bullion counter may witness some profit booking at higher levels. Gold on Thursday hovered near a two-week peak touched in the previous session, as the dollar struggled after the U.S. Federal Reserve and the European Central Bank signaled steady interest rates amid a slowing global economy. The dollar held near two-week lows as Fed minutes reinforced dovish policy expectations while the pound held recent ranges after European leaders extended the deadline for Britain to leave the union, averting a no-deal Brexit. The Fed is likely to leave interest rates unchanged this year given risks to the U.S. economy from a global slowdown and uncertainty over trade policies and financial conditions, according to the minutes from its March 19-20 policy meeting. U.S. consumer prices increased by the most in 14 months in March, but the underlying inflation trend remained benign amid slowing domestic and global economic growth. European Union leaders agreed to grant British Prime Minister Theresa May a new Brexit deadline of Oct. 31, officials said, after French President Emmanuel Macron opposed efforts to give her another year. ENERGY- Crude oil may trade lower as oil prices fell on Thursday after U.S. crude stockpiles surged to their highest levels in almost 17 months amid record production. U.S. crude inventories rose 7 million barrels to 456.6 million barrels in the last week, their highest since November 2017, the Energy Information Administration said on Wednesday. U.S. crude oil production EIA remained at a record 12.2 million barrels per day (bpd), making the United States the world biggest oil producer ahead of Russia and Saudi Arabia. Despite this growth in U.S. supply, global oil markets remain tight amid supply cuts led by the Organization of the Petroleum Exporting Countries (OPEC), U.S. sanctions on oil exporters Iran and Venezuela, and escalating fighting in Libya. Venezuela oil output sank to a new long-term low last month due to U.S. sanctions and blackouts, with production plunging to 960,000 bpd in March, a drop of almost 500,000 bpd from February. U.S. natural gas futures gained less than a penny on Wednesday as declining output offset forecasts for cooler weather and less heating demand next week. BASE METAL - Base metals prices may trade with negative bias. London copper on Thursday was almost unchanged, as support from progressing U.S.-China trade talks was countered by rising supply and concerns about a global slowdown. Copper stockpiles in warehouses monitored by the Shanghai Futures Exchange stayed at 257,320 tonnes by the end of last week, up from around 100,000 tonnes at the beginning of this year. Chinese miner MMG Ltd has sent some supplies and personnel to its copper mine Las Bambas after protesters in Peru partially suspended their two-month road blockades, a company source said on Wednesday. Chile Codelco, the world biggest copper producer, is set to shell out $40 billion in 10 years to overhaul its century-old Chuquicamata and El Teniente mines. BULLION - Bullion counter may trade with sideways to positive bias as old prices rose for a third consecutive session on Tuesday as the dollar weakened on expectations that the U.S. Federal Reserve will maintain a dovish tone at its monetary policy meeting this week. Traders currently expect there will be no U.S. rate hikes this year, and is even building in bets for a rate cut in 2020. Federal Reserve Chairman Jerome Powell will speak at a news conference on Wednesday. Gold can witness bounce back towards 31800. Silver can take support near 37800 and can recover towards 38250. Prime Minister Theresa May's Brexit plans were thrown into further turmoil on Monday when the speaker of parliament ruled that she could not put her divorce deal to a new vote unless it was re-submitted in a fundamentally different form. European Union leaders could hold off making a final decision on any Brexit delay when they meet in Brussels later this week, senior diplomats in the bloc said, depending on what exactly British Prime Minister Theresa May asks them for. ENERGY- Crude oil (Apr) may trade on sideways path as it may trade in range of 4060-4120 in MCX. Oil prices were near 2019 highs on Tuesday, supported by supply cuts led by producer club OPEC. U.S. sanctions against oil producers Iran and Venezuela are also boosting prices, although traders said the market may be capped by rising U.S. output. The Organization of the Petroleum Exporting Countries (OPEC) on Monday scrapped its planned meeting in April, effectively extending supply cuts that have been in place since January until at least June, when the next meeting is scheduled. OPEC and a group of non-affiliated producers including Russia, known as OPEC+, started withholding supply to halt a sharp price drop in the second-half of 2018, when markets came under pressure from surging output as well as an economic slowdown. BASE METAL - Base metals prices may trade with positive bias. Copper may test 446 while taking support near 441 in MCX. Copper prices ticked up on Tuesday, supported by Chinaâ��s announcement to cut tax for manufacturers from next month to boost growth in the worldâ��s second-largest economy. China will cut value-added tax for manufacturing and other sectors on April 1, Premier Li Keqiang said on Friday, adding that cuts in taxes and fees remained a key measure to cope with downward pressure on its economy. Aluminium and nickel contracts ticked up on both London and Shanghai exchanges, with the three-month London aluminium hovering near an over-two-week high level. BULLION - Bullion counter may trade sideways path as gold hovered Gold held steady on Wednesday after recovering from more than five week lows in the previous session, drawing support from choppy equities, while a stronger dollar capped gains. Asian stocks clung to tight ranges on Wednesday, as investors awaited fresh directional cues from U.S.-China trade negotiations and a weaker Wall Street finish capped broader gains, while robust U.S. economic data supported the dollar. Gold can take support near 32100 while it can face resistance near 32400. Silver can test 38350 while facing resistance near 38700. Sales of new U.S. single-family homes rose to a seven-month high in December, but November's outsized jump was revised lower, pointing to continued weakness in the housing market. U.S. President Trump will reject any U.S.-China trade deal that is not perfect but that the United States will still keep working on an agreement, U.S. Secretary of State Mike Pompeo said in a media interview. The Perth Mint's February sales of gold products fell to the lowest level since June last year, declining more than 37 percent from the previous month, it said on Tuesday. ENERGY- Crude oil may open on negative note as oil prices fell more than 0.5 percent on Wednesday as bullish output forecasts by two big U.S. producers outweighed recent OPEC-led efforts to rein in crude production. Chevron Corp and Exxon Mobil Corp released duelling Permian Basin projections on Tuesday pointing to big increases in shale oil production. Data from the American Petroleum Institute (API), an industry group, also showed larger-than-expected U.S. crude stockpiles. Crude oil can test 3900 while facing resistance near 4000. U.S. crude inventories rose by 7.3 million barrels in the week ending March 1 to 451.5 million, compared with analystsâ�� expectations for an increase of 1.2 million barrels, API said. Crude stocks at the Cushing, Oklahoma, delivery hub rose by 1.1 million barrels. 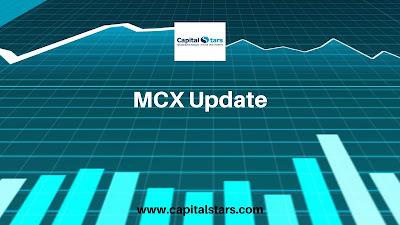 Natural gas may test 206 while taking support near 200 in MCX. U.S. natural gas futures edged up to a five-week high on Tuesday as utilities pulled huge amounts of gas out of inventories to heat homes and businesses to deal with a frigid cold snap blanketing much of the country this week. BASE METAL - Base metals prices may trade with sideways to weak bias except Nickel. U.S. President Trump will reject a U.S.-China trade deal that is not perfect, but the United States would still keep working on an agreement, U.S. Secretary of State Mike Pompeo said in a media interview. Pompeo had earlier said he thought the two sides were "on the cusp" of a deal to end their trade war, adding to positive signs about negotiations from both sides of the Pacific. Copper may test 455 while taking resistance near 465 in MCX. Zinc can test 195 while facing resistance near 199. Lead can trade on mixed path in range of 147-150. Nickel can also test 970 while taking support near 950. London nickel prices edged higher for a fourth straight session on Wednesday as low stock levels and recovering demand kept the metal used to make stainless steel at a six-month high. LME nickel inventories have fallen for 10 days in a row to under 200,000 tonnes. Shortages for a fourth year running and historically low stocks of zinc are likely to propel prices of the metal to $3,000 a tonne over coming months, while an end to the U.S.-China trade dispute could spur even more gains. 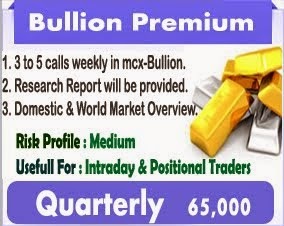 BULLION - MCX Gold and Silver may note mixed trade in line with international market however bias may be on the downside. COMEX gold trades mixed near $1328/oz after a sharp 1.5% slide yesterday. Gold hit April 2018 highs earlier this week amid run up ahead of FOMC minutes amid expectations that Fed may indicate a more dovish tilt. Gold price crashed sharply as Fed did not sound as dovish as some had expected. Fed maintained patient rate hike stance but maintained upbeat outlook for US economy keeping door open for a rate hike. Fedâ��s stance, downbeat European economic data and ECBâ��s cautious tone on the economy and pressure on Australian dollar post Chinaâ��s coal import ban helped US dollar inch up and this also pressurized gold. ETF outflows also show profit taking by investors. Gold holdings with SPDR ETF fell by 4.99 tonnes to 789.5 tonnes. However, supporting gold price is choppiness in equity market and increasing uncertainty about health of major economies. Risk sentiment weakened as disappointing economic data from major economies has rekindled growth concerns while Fed did not sound as dovish as expected. Market players are also positioning for outcome of US-China trade talks. As per reports, President Donald Trump is said to plan a meeting with China's top trade negotiator Friday. Meanwhile, Reuters reported that the two sides were drafting language for six memorandums of understanding on proposed Chinese reforms. Gold rallied to multi month high and corrected after failing to sustain the gains. We expect choppy trade today but bias may be on the downside as global uncertainty and Fedâ��s stance will keep a floor to US dollar. ENERGY- Crude Oil- MCX Crude may note some decline tracking cues from international exchange but downside is limited. NYMEX crude trades weaker but in a narrow range above $56 per barrel after a 0.3% decline yesterday. Weighing on crude price is EIA weekly report which was mixed to negative. EIA noted a 3.672 million barrels increase in US crude oil stocks as against expectations of 2.6 mn bbl rise. US crude production rose to a fresh record high level of 12 million barrels per day. EIA however noted a bigger than expected decline in gasoline and distillate stocks. Also weighing on crude price are demand concerns amid disappointing economic data from major economies. 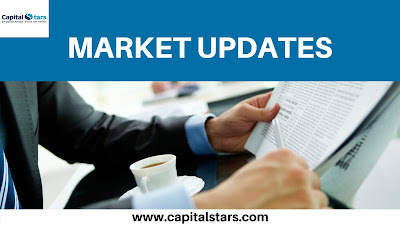 US equity market also slumped yesterday as FOMC minutes did not indicate as dovish stance as expected by some. However, supporting crude price is OPECâ��s adherence to production cuts, Saudi and Russiaâ��s commitment to deepen production cuts, supply disruption relating to Saudiâ��s Safaniyah oilfield and supply concerns relating to Venezuela and Iran. Crude has rallied sharply in last few days and we are seeing some signs of correction hence one must wait for lower levels to create fresh longs. Focus today will be on economic data, weekly rig activity report and development relating to US-China trade talks and Brexit negotiations. Natural Gas- MCX Natural gas may note mixed trade in line with international market however sell on rise is suggested. NYMEX natural gas trades mixed near $2.7/mmBtu after a 2.3% gain yesterday. Supporting gas price is bigger than average decline in US gas stocks and forecast of cold weather in US which will increase heating demand. US EIA weekly report noted a 177 Bcf decline in US natural gas stocks as against market expectations of 166 Bcf decline and 5-year average decline of 148 Bcf. However, weighing on price is higher US output and expectations of subdued demand with nearing end of winter season. Natural gas has been trading in a broad range indicating no major trading interest and this could continue as we are entering a seasonally slack period. We however recommend selling at higher level as demand expectations will remain low with end of winter. Focus today will be on US weather outlook as well as weekly rig activity report. BASE METAL - Base metals on LME trade sideways to lower today after noting mixed movement yesterday. LME Aluminium was the best performer with nearly 2% gains followed by 1.2% jump in Lead prices. However in other metals, Copper and Nickel closed 0.4% lower while Zinc ended with 0.6% lower. 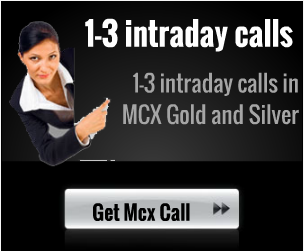 BULLION - MCX Gold and Silver may note some decline tracking cues from international exchange. COMEX gold trades weaker near $1341/oz after testing 10-month high of $1349.8/oz in previous session. Gold came under pressure amid some stability in US dollar post release of FOMC minutes. Minutes of Fed meeting showed that Fed officials are still upbeat on US economy and this has kept door open for another rate hike. Fed officials also discussed ending the bond reduction plan and may soon announce details on the same. FOMC minutes reaffirmed Fedâ��s patient rate hike stance and willingness to end balance sheet reduction plans however it was largely factored in and there was no fresh clue to add to Fedâ��s dovish stance hence we are seeing some stability in US dollar. Also market focus will now shift to ECB monetary policy minutes today. The central bank has maintained cautious tone on euro-zone economy and this will not bode well for euro. Market players are also eyeing trade related development. US-China trade talks are progressing however lack of concrete announcement will leave market players restless. Meanwhile, US President Trump on Wednesday said the US would impose tariffs on European car imports if it cannot reach a trade deal with the European Union. ETF inflows show some buying interest in gold with price near 10-month high. Gold holdings with SPDR ETF rose by 2.05 tonnes to 794.503 tonnes. Gold rallied sharply in last few days on expectations that FOMC minutes will add to Fedâ��s dovish tilt however lack of any fresh cue has resulted in some correction and this could extend further. ENERGY- Crude Oil- MCX Crude may note mixed trade in line with international market however bias is still on the upside. NYMEX crude trades mixed near $57 per barrel after a 1.5% gain in previous session when it hit the highest level since Nov.2018. Supporting crude oil price is API weekly report which noted a smaller than expected 1.26 million barrel increase in US crude oil stocks and a decline in gasoline and distillate stocks. Crude oil also remains supported by OPECâ��s adherence to production cuts. The OPEC+ Joint Technical Committee assessed compliance with the group's production curbs at 83% in January, the first month of the deal. Meanwhile, Saudi Arabia and Russia have indicated that they will deepen cuts in coming months. US sanctions on Venezuela and Iran has also added to expectations of lower supply from OPEC. Meanwhile, supply concerns are also high amid partial closure of Saudi Arabiaâ��s Safaniyah oilfield. Amid other factors, global equity markets turned choppy after FOMC minutes did not add to Fedâ��s dovish tilt. Fed maintained optimism about US economy keeping option open for a rate hike. US-China trade talks are progressing well but trade concerns rose as US President Trump on Wednesday said the US would impose tariffs on European car imports if it cannot reach a trade deal with the European Union. Natural Gas- Natural Gas- MCX Natural gas may note mixed trade in line with international market but sell on rise is suggested. NYMEX natural gas trades mixed near $2.65/mmBtu ahead of inventory report. US EIA is expected to note a 165 Bcf decline in US natural gas stocks as against 5-year average decline of 148 Bcf. A bigger than average decline will widen the deficit in the market but this has already been factored in. Also with the nearing end of winter season, stocks withdrawals are expected to normalize in coming days. On demand front, weather forecasts are indicating colder weather in parts of US which will increase heating demand. However, demand is also expected to wane down with end of winter season. Natural gas may remain rangebound ahead of inventory report but overall sell on rise will be ideal strategy. It is unlikely that the stock drop may be huge enough to refuel tightness concerns. BASE METAL - Most Base metals on LME trade with a weaker bias today after closing on a higher note yesterday. LME Nickel was the best performer with 1.9% gains followed by 1.5% rally in Zinc prices and 1.4% gains in Copper prices. In other metals Lead and Aluminium too ended 1% and 0.65% higher respectively. BULLION - Bullion counter may remain sideways to weak bias. U.S. consumer prices were unchanged for a third straight month in January, leading to the smallest annual increase in inflation in more than 1-1/2 years, which could allow the Federal Reserve to hold interest rates steady for a while. Several Federal Reserve officials have indicated that they will support a pause in interest rate hikes from the U.S. central bank to assess its impact in economy. Gold can face resistance near 33000 while it has support near 32800. Silver can slip towards 39200 while taking resistance near 39650. Holdings of SPDR Gold Trust, the worldâ��s largest gold backed exchange-traded fund, dropped 0.26 percent to 796.85 tonnes on Wednesday from 798.89 tonnes on Tuesday. Russiaâ��s Finance Ministry said on Wednesday that Russia had produced 314.42 tonnes of gold and 1,119.95 tonnes of silver in 2018. ENERGY- Crude oil may trade on firm path as oil prices inched up on Thursday, buoyed by hopes that potential progress in the latest SinoU.S. Tariff talks would improve the global economic outlook. Optimism that a trade deal could be reached between the United States and China was boosted when U.S. President Donald Trump said talks were going â��very wellâ��. But climbing U.S. oil stockpiles weighed on prices. U.S. crude oil inventories rose last week to the highest since November 2017 as refiners cut runs to the lowest since October 2017, the Energy Information Administration said on Wednesday. Crude inventories built for a fourth week in a row, rising 3.6 million barrels to 450.8 million barrels in the week to Feb. 8. Analysts polled by Reuters forecast an increase of 2.7 million barrels. Crude oil can test 3880 while taking support near 3800. Natural gas may witness lower level buying as it can test 188 in MCX. BASE METAL - Base metals prices may trade on mixed path. Copper may test 439 while taking support near 432 in MCX. China on Thursday reported imports and exports data for December that easily topped expectations amid its trade dispute with the U.S. That better than-expected news comes a month after China's customs data showed imports and exports both fell unexpectedly in December. January dollar denominated exports meanwhile rose 9.1 percent from a year ago, according to Chinese customs data. China's exports in January were expected to have contracted 3.2 percent from a year earlier, compared with the previous month's 4.4 percent decline. China's overall trade surplus was $39.16 billion in January. That easily topped the $33.5 billion expected, according to the Reuters poll. December trade surplus was $57.06 billion. Zinc can move in range of 183-187. Underpinning zinc, data showed LME zinc inventories have eroded further to their lowest since January 2008. Lead can move sideways in range of 142-145. Nickel can take support near 865 and can recover towards 885. Aluminum prices may find some support near 130. BULLION - MCX Gold and Silver may note mixed trade in line with international market but general bias may be on the downside. COMEX gold trades in a narrow range near $1310/oz amid mixed cues. Support from correction in US dollar and central bank buying is countered by gains in equity market and continuing ETF outflows. The US dollar index trades little changed near 96.6 levels after a 0.4% decline yesterday. The US dollar weakened after eight days of gains as easing worries about US government shutdown and US-China trade dispute reduced safe haven demand. US President Donald Trump said he's open to extending a March 1 deadline to raise tariffs on Chinese products if the two sides are near an agreement. US lawmakers reached a deal in principle to avert another shutdown while President Trump has indicated he may consider the proposal. Asian equity markets trade largely higher today after 1.5% gain in US market yesterday. ETF outflows however show waning confidence about goldâ��s recent price gains. Gold holdings with SPDR ETF fell by 3.233 tonnes to 798.885 tonnes. Gold has been trading in a narrow range above $1300/oz and this may continue unless there is more clarity on US-China trade issue, Brexit and US government shutdown however for the day the bias may be on the downside owing to improved risk sentiment. ENERGY- Crude Oil- MCX Crude may note some gains tracking cues from international exchange but upside is limited. NYMEX crude trades higher above $53 per barrel after a 1.3% gain yesterday. Supporting crude price is API weekly report which noted an unexpected 0.998 million barrel decline in US crude oil stocks and a smaller than expected rise in gasoline stocks. Also supporting crude price is gains in US equity market and correction in US dollar amid easing worries about US government shutdown and US-China trade dispute. US President Donald Trump said he's open to extending a March 1 deadline to raise tariffs on Chinese products if the two sides are near an agreement. US lawmakers reached a deal in principle to avert another shutdown while President Trump has indicated he may consider the proposal. Also supporting crude price is Saudiâ��s pledge to cut more output in coming months. Saudi Arabia said it would pump about 9.8 million barrels a day next month, lower than the 10.311 million barrel day limit agreed in the production cut deal. However, weighing on price is downbeat demand outlook and higher US gas production. The US EIA cut its 2019 world oil demand growth forecast by 50,000 barrels per day to 1.49 million bpd to average 101.45 million bpd. EIA also expects US crude oil output to rise 1.45 million bpd this year to record level of 12.41 million bpd. OPEC, in its monthly forecasts, lowered forecast of OPEC demand by 0.2 mn bpd to 30.6 million bpd. Natural gas slipped more than 1% to trade near $2.65/mmBtu after a 1.7% gain yesterday. Mixed factors have resulted in mixed trade in gas price. Supporting gas price is forecast of cold weather in US which will increase heating demand. However, market players are concerned that with nearing end of winter season weather related demand may not be strong enough to boost prices. Also supporting price is higher US gas production and expectations of a smaller than average decline in gas stocks. Mixed factors and positioning ahead of inventory report may keep gas price choppy but general bias may be on the downside. BASE METAL - Base metals on LME trade with a positive bias today after a weaker close yesterday. LME Zinc continued to be the worst performer with 1.4% drop followed by 1% decline in Aluminium prices and 0.7% slide in Copper prices. In other metals Nickel and Lead too ended 0.6% and 0.5% lower respectively.